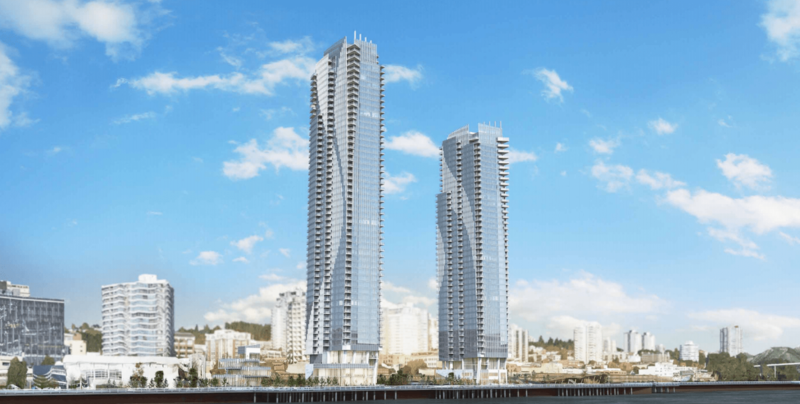 Bosa Development is showing off designs for two new condo towers on the New Westminster waterfront, part of an ambitious proposal to remake the area. 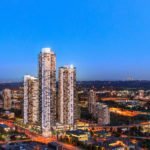 If approved, the two towers (53 and 43 storeys) will be the tallest buildings in the city, and the tallest towers east of Metrotown and Brentwood Town Centre. 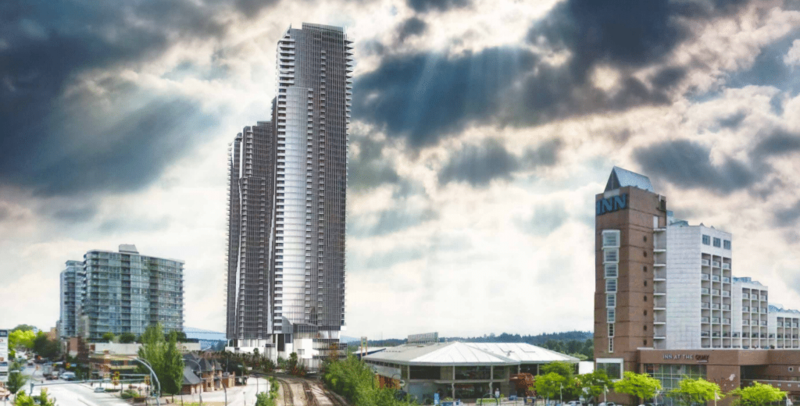 The 53 storey tower, which will be phase one of the development, is one storey taller than Surrey’s 3 Civic Plaza. 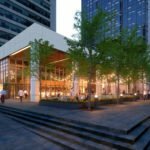 The development will include 665 units (including five townhomes), ranging from studio to three bedrooms. Homes will range in size from 578 square feet to 2,575 square feet. 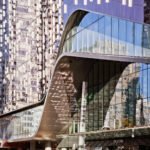 There will also be a three storey commercial building containing a 40 space childcare facility, restaurant and commercial space, as well as 80 public parking spaces. 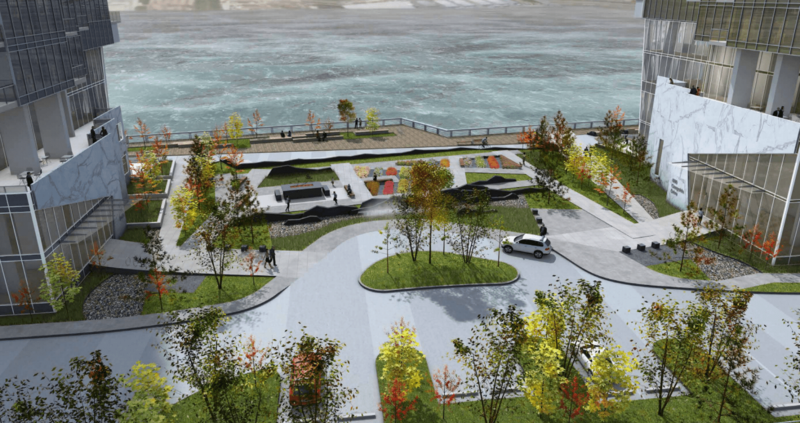 As part of the proposal, Bosa will donate two acres to the City of New Westminster to expand Pier Park. 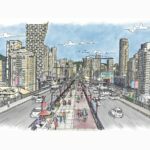 The development should help improve the public realm along the waterfront, connecting the River Market to Pier Park with pedestrian and bike lanes along a new boardwalk. 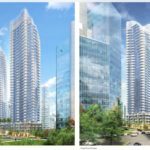 The property at 660 Quayside Drive has been earmarked for high-density development since 2005, when the city approved a rezoning by Larco to allow for five residential towers up to 30 storeys each. That proposal was reworked a second time to allow for a taller tower, but never went ahead. 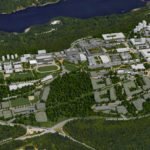 Construction on the Bosa project is expected to start in the spring of 2018, with phase one completion scheduled for the fall of 2021, and phase two completion in the fall of 2022. Rendering of Bosa’s proposal for the New Westminster waterfront, showing the new boardwalk and tower lobby. Rendering of entry to Bosa development. 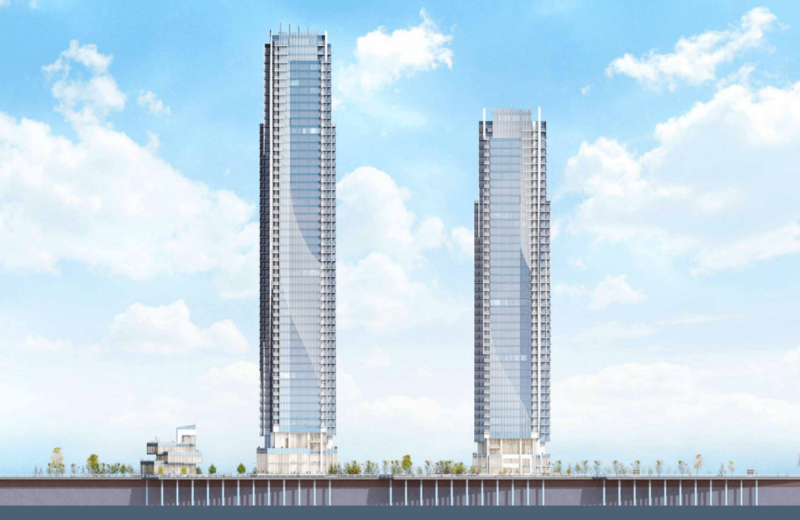 Rendering of towers planned for New Westminster waterfront. Site plan for Bosa’s New Westminster development, showing an expanded Pier Park and new boardwalk.